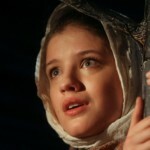 Talented and beautiful film and theater actress Anna Chipovskaya was born on June 16, 1987 in Moscow. Her mother is a theater and film actress Olga Chipovskaya, and her father – a jazz musician. As a child Anna dreamed of becoming an actress, but her parents and grandparents wanted her to be a translator, so Anna entered the linguistic school. Anna Chipovskaya also worked in a modeling agency. Despite the fact that Anna graduated from high school, her dream has not changed and she decided to enter the drama school. In 2009 she graduated from the Moscow Art Theater School and became its actress. She made her debut in the play “Amadeus” at the Moscow Art Theater. 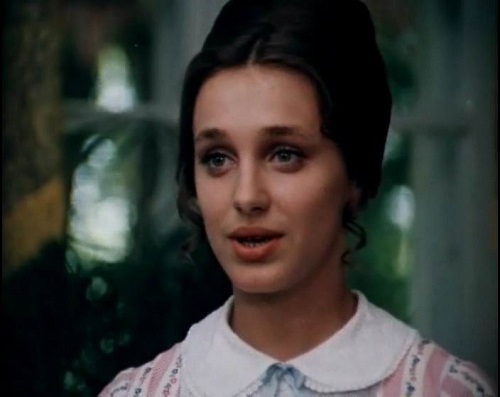 Russian actress Anna Chipovskaya also starred in music videos – “Kings of the Night Verona” from the musical “Romeo and Juliet”, “New Russian Kalinka” and “Bam-Bam” by the young Russian actor and singer Alexei Vorobyov, in the song “My Star” by the group Neonavt. Popular Russian actress Anna Chipovskaya continues to amaze her fans not only with creativity, but also her personal life. The star at the moment, is in a relationship with Daniil Sergeyev. Apparently, the couple is very happy together, especially the actresses. This can be seen just looking at her happy face, and the way with which the star shows the activity and enthusiasm working in show business. Anna Chipovskaya really surprised her fans, acting in a new for herself role of a singer. She sang world-famous hit of cult American rock group «Nirvana», whose leader was Kurt Cobain, the idol of millions, and the symbol of a whole generation. Chipovskaya sang a song called «My girl». Russian actress performed it for the new film “Cold Front”. «My girl» by Chipovskaya will be the main soundtrack for this work. Her future husband Daniil Sergeev approves new occupation of his beloved and says that to try her hand at singing will be very useful and interesting for Anna. Daniil himself, as is well known, has served as a creative director in an advertising agency, so all kinds of creativity for him is very close and familiar.